With PunxsutawneyPhil seeing his shadow on Groundhog Day, parents all over Ohio are hoping for only six more weeks of winter (please, for the love of all that’s holy?). During these final weeks of winter, make plans now to attend one (or all) of these spring festivals and events around Dayton. With any luck, your kids’ cabin fever will be cured! Warm up with thoughts of spring at this year’s Home and Garden Show right here at the Dayton Convention Center. Known as the largest home show in the region, the DHC will have over 225 exhibitors on hand with demonstrations and exhibits aimed at making your spring clean-up a cinch. To stay up-to-date on the latest show news or to purchase tickets, contact the Home and Garden Show today. Looking for an affordable way to celebrate St. Patrick’s Day with family? Join Five RiversMetroparks as they host St. Paddy’s Day at the 2nd Street Market from 10:00 am to 2:00 pm. The market will be filled with the sounds of Celtic music and live performances by dancers from the Celtic Academy of Irish Dance. Best yet, this whole holiday event in Dayton is free for all ages! Visit the Metroparks site for more details. The quaint township of Bellbrook, OH, is busy gearing up for yet another spring festival this April. This year’s theme, “Forty Years in the Making,” is appropriately named as the town comes together to celebrate forty exciting years hosting the Sugar Maple Festival. A jammed-packed weekend schedule includes events like a 5K run, community parade, dog show, middle and high school sweetheart contest, and local live music and entertainment. The family-friendly spring event also includes free activities for children such as carnival games, face tattoos, and hair painting. Delicious food vendors will be on hand to feed the hungry festival-goers in addition to the all-you-can-eat pancake breakfast on Saturday morning. For the full festival schedule and more information, visit Sugar Maple Festival. The Central Ohio Historical Walking Tour is the ideal spring event for outdoor enthusiasts and history buffs around Dayton. After a short drive from the Charity A. Krueger Farm Discovery Center in Dayton, the tour moves to Dawes Arboretum in Newark, Ohio. Curator Keith Stevens will guide participants on a walking tour of the Japanese Garden. Next, guests will enjoy a wagon tour of the 2,0000-acre property with a resident horticulturist. Take a trek through the trails if you’re able—they’re gorgeous. The last stop before returning to Dayton will be the Rock Mill Covered Bridge and Park near Lancaster, Ohio. The scenic views of the Hocking River Falls and the iconic Rock Mill Grist Mill make this stop a memorable ending to a perfect spring day. For more information about this event or others offered by the Aullwood Audubon Center and Farm, contact them today. Located in Carillon Historical Park, the Dayton Heritage festival is the perfect way to welcome summer. Welcoming thousands of guests each year, this festival is filled with historical tours, costumed interpreters, and old-fashioned patriotic music. Free parking is available in the park and admission is free for Dayton History Members. For additional details, visit www.daytonhistory.org. Dayton may spring to life this spring, but there’s a whole lot of lively deals already happening at our Beavercreek Honda dealership. If you need a new van or SUV to celebrate the return of warmer weather with family, browse our inventory today. We have great seasonal savings on popular models like the Honda Odyssey and 2018 CR-V. 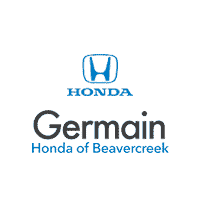 Call us at (937) 426-9564 or drive into Germain Honda of Beavercreek at 2300 Heller Dr.